Williams pulled off the 6-3, 6-4 win against the No. 11 seed on Suzanne-Lenglen Court in Paris. Sharapova quickly dispatched of Karolina Pliskova 6-2, 6-1 in her round of 32 matchup Saturday on Court Philippe Chatrier. 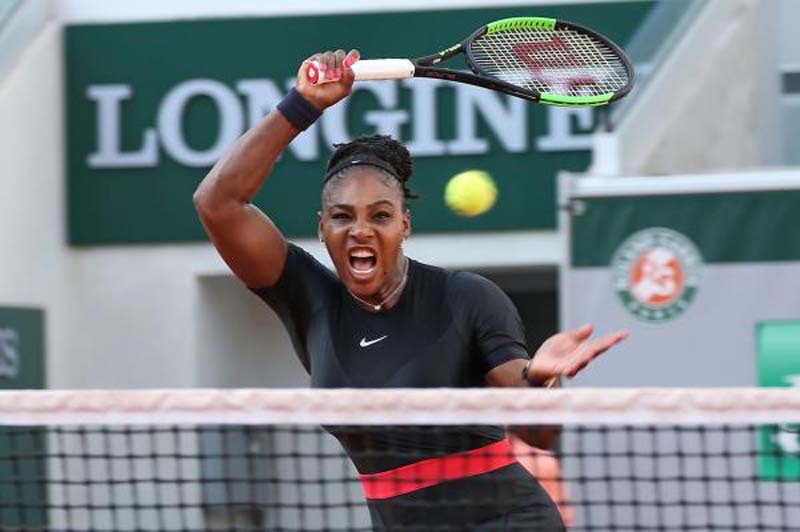 Williams beat 17-seed Ashleigh Barty in the round of 64 on Thursday and defeated Kristyna Pliskova in the round of 128 on Tuesday at Rolad Garros. She is ranked No. 451 by the Women's Tennis Association. "It has been a really long time," Williams told the Tennis Channel. "This time last year I was actually pregnant. And now I'm playing, which is crazy. It's just a big relief to go out there and you know play a little more consistent." She won match point after a brief back and forth with Goerges, before her Czech foe over hit a return on a backhand. Williams and Sharapova meet in the fourth round Monday at Roland Garros. Williams is seeking her 24th Grand Slam title, while Sharapova is on a quest to win her first Grand Slam since the 2014 French Open, her fifth major title in the sport. Williams is 12-2 in the third round during her career at the tournament. Venus and Serena advanced the round of 16 in the women's doubles tournament on Friday, beating Kirsten Flipkens and Sara Errani in straight sets. "She's playing really well and I think this is her best surface, so we'll see," Williams said of Sharapova. "I'm just going to go out there and enjoy myself. For once, I have nothing to lose." Sharapova said she felt like she improved in her third round match. "I think anytime you play against Serena, you know what you are up against," Sharapova told reporters. "You know the challenge that is upon you. Despite the record that I have against her, I always look forward to coming out on the court and competing against the best player."